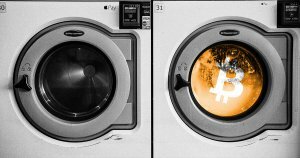 Nearly a decade after the arcane origins of cryptocurrency and skeptics would not yet have depleted their argument that the technology is an A-grade digital detergent for money-laundering. In a bid to tackle the age-old assertion, however, Binance has joined with crypto compliance and investigation provider Chainalysis to keep its transcontinental ecosystem squeaky clean. 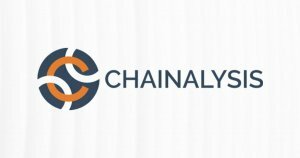 Chainalysis builds trust in blockchains between people, businesses and governments. Backed by Wall Street investment banking heavyweight, Benchmark, Chainalysis in April secured $16 million in VC funding in a mounting push to further its coverage to government entities, cryptocurrency businesses and financial institutions, worldwide — whom the company currently claims to serve more than 150 of, globally. The new partnership sings in harmony with the ambitions of Binance CEO Changpeng Zhao, who in September stated his curveball intention to set up five to ten fiat-to-crypto exchanges in nearly every continent — giving preference to smaller, more collegial, regulatory environments that could work directly with his ever-expanding team. Now with its global campaign map firmly in hand, Binance would be looking to get a running start with Chainalysis’ full suite of tools — which purportedly helps crypto businesses and financial institutions comply with Anti-Money-Laundering (AML) and Know-Your-Customer (KYC) regulations — and companies accepting cryptocurrency to open banks accounts. The wheels have already been set in motion, with Binance, the world’s leading exchange by daily volume, having implemented a complete roll-out of Chainalysis’ compliance solution — an algorithmic ‘Know Your Transaction’ (KYT) software designed to weed out and sound the alarm on suspicious transactions. Indeed, as the exchange keeps at its seemingly relentless growth trajectory — having outstripped the profits of Deutsche Bank in Q1 — it will surely be looking to build an impenetrable defense against the type of legal action that may floor even the most well-heeled of companies. Whatever efforts are made to pull the rug out from prospective launderers, however, may do little to diminish the narrative that cryptocurrency is criminal money. As reported previously by CryptoSlate, critics have continued to lambast the asset class despite hard evidence that, each day, banks launder enough to dwarf the net sum of funds ever laundered on cryptocurrency exchanges.